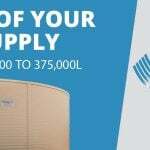 Albany in Western Australia’ Great Southern region, has been served by Heritage Water Tanks for many years and we offer water storage solutions to sectors such as residential, agriculture, mining, and tourism in this wonderful town. 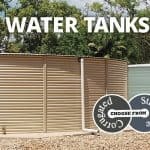 The fact that we are Australian manufacturers of water tanks means that the people of Albany and surrounds can trust us to deliver quality products at fair prices. One of the biggest challenges facing Albany is the importance harvesting rain water due to the predicted lower rainfall expected over the next fifty years. Rainfall in south-west WA has already reduced by around 15 per cent since the mid-1970s. A further decrease in annual rainfall of 7 per cent and a 14 per cent reduction in surface water runoff is expected by 2050. If current climate trends continue, south-west WA will potentially experience 80 per cent more drought-months by 2070. A hotter, drier climate will have a high economic impact on water supply infrastructure, with Perth likely to be one of the most severely impacted city in Australia. This is why our customers place their trust in Heritage Water Tanks in the Great Southern Region and surrounds to capture every drop of available rainwater. Ask one of our sales consultants about our unique water catching Gutter Technology. 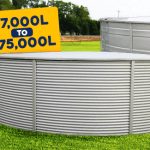 When it comes to reliable and quality water tanks, the community knows and trusts the Heritage Water Tanks brand for good reason. 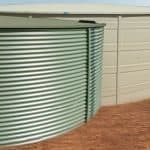 We also supply tanks to customers in the most remote and isolated locations in Western Australia, ranging from Marble Bar, Kalgoorlie, Halls Creek, Karratha, Kununurra and Exmouth. 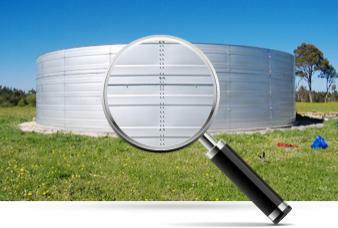 Why are our tanks suited to Western Australia? It is predicted that Western Australia will experience the effects of climate change through more variable seasons and reduced rainfall in years to come. 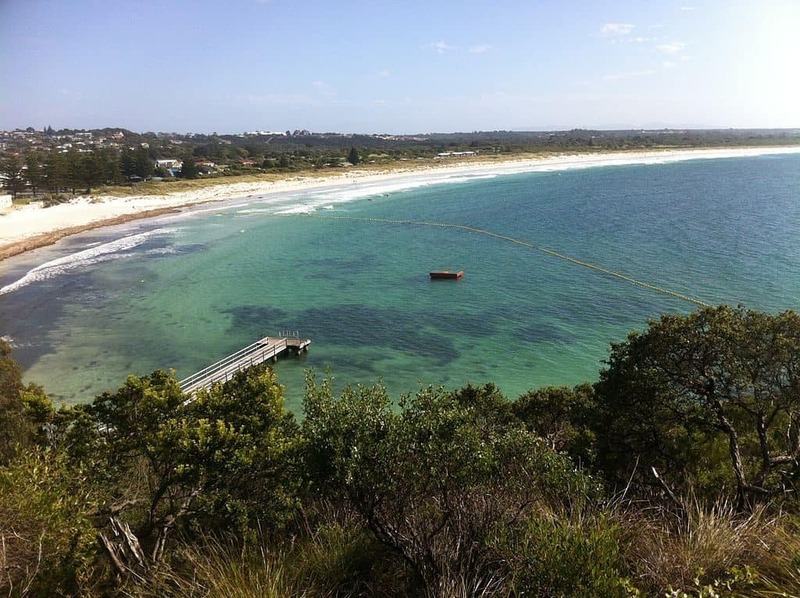 With this in mind, people living in Busselton will need to be more mindful about water security and water storage solutions. 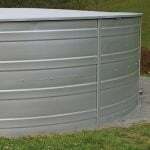 This is why Heritage Water Tank's unique gutter system is more important than ever. With our rainwater collection system, which collects water from the roof of your tank, you can save up to 22% of your tank's volume in additional water each year. 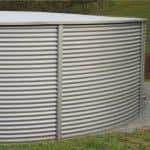 Our unique gutter system also prevents scouring around the base of your tank in high rainfall areas, as almost all of the runoff from the roof of your tank is collected back inside the tank. 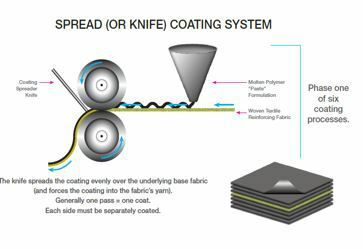 We operate throughout WA including, Perth, Rockingham, Mandurah, Bunbury, Kalgoorlie-Boulder, Geraldton, Albany, Kwinana, Broome, Busselton, Port Hedland, Karratha, Esperance, Carnarvon, Collie, Northam, Golden Bay-Singleton, Kununurra, Narrogin, Manjimup, Margaret River, Derby, Katanning, Newman, Tom Price, Exmouth, Kambalda West, Merredin, Mundaring, Harvey, Denmark, Kalbarri, Byford, Dongara, Bridgetown, York, Yanchep, Pinjarra, Mount Helena, Waroona, Wickham, Moora, Mount Barker, Dunsborough, Donnybrook, Stoneville, Parkerville, Two Rocks, Fitzroy Crossing, Dampier, WA and surrounding areas.